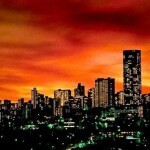 Cheap return flights from Europe to Johannesburg from €369! Low-cost flights from Europe to Jordan from €21 return! Cheap return flights to Morocco from €21 or £21! *see UPDATE below* Iberia (Oneworld) or Alitalia (SkyTeam) are running an interesting promotion on a flights to Republic of South Africa from various European countries. You may consider to fly to Johannesburg when departing from main airports in France, Germany, Spain, Italy, Switzerland. Also Brussels, Amsterdam or Vienna. Return tickets from Europe to Johannesburg are now available already for €369! This is a great option for vast of European travelers looking for some cheap solution to South Africaduring local summer season. Note that fare is for a roundtrip incl. all taxes however excluding checked bag.. *UPDATE*. : Adding few more options with British Airways. Return flights to Johannesburg from main airports in Ireland already for €369, Luxembourg €393 also from Switzerland or Vienna..You can easily compare all the cheapest travel dates directly at website of British Airways. See also our solution from Europe to Durban, South Africa from €431. (Promotion of British Airways or Turkish Airlines). This promotional deal with Iberia / British Airways is valid for flights from 27th of October to 29th of May 2019. Booking is valid for purchase made till 30th of September or until sold out. Max stay 3 months but all travel must complete by 15th of June. Need hotel in Johannesburg in advance we recommend Booking.com. Consider promo code that offers Hotelopia or Hotels.com. Please refer to below booking samples if interested in this solution. To check your connection possibilities we recommend to use Skyscanner. This tool gives you quickly an idea which low-cost airlines are available from your home city. If you would need an assistance to find a travel option please contact us via our FB page. Booking sample of cheap return flights from Europe to Republic of South Africa for €369. In this case you would be departing from Dublin to Johannesburg on 26th of January. Your return flight from RSA back to Europe would take place on 10th of February 2019.